The uprising planned by the military committee of the IRB began on the 24th April in Dublin amid great confusion due to the extreme secrecy of the plans and without the hoped for German arms. The previous day, Eoin MacNeill upon hearing of the arrest of Sir Roger Casement and the seizure of arms, revoked the orders for a rising. He sent a note to twenty of the rebel leaders early on Easter Sunday morning: "Volunteers completely deceived.... All orders for special action are hereby cancelled, and on no account will action be taken". The other leaders, including Patrick Pearse and James Connolly, agreed to go ahead with the uprising. 700 men and women turned out. The rebels' headquarters was at the General Post Office on O'Connell street, where James Connolly, Patrick Pearse, Tom Clarke, Seán Mac Dermott and Joseph Plunkett were located. 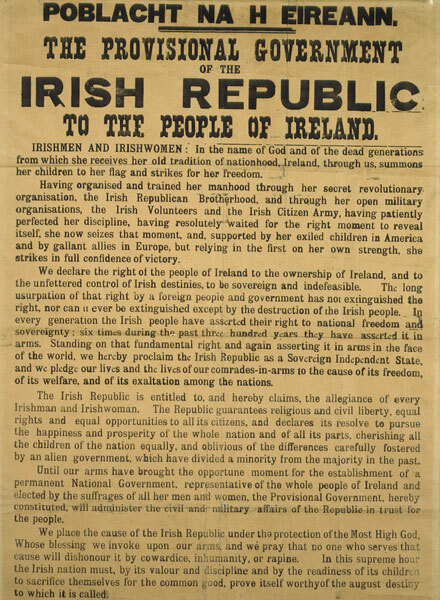 After taking over the building the Volunteers raised Republican flags and Patrick Pearse read out a proclamation of the Irish Republic. 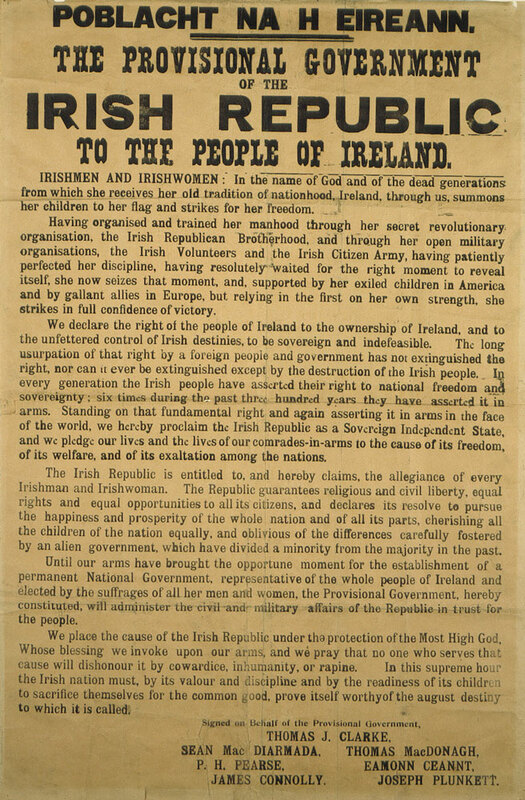 Original copy of the 1916 Proclamation.